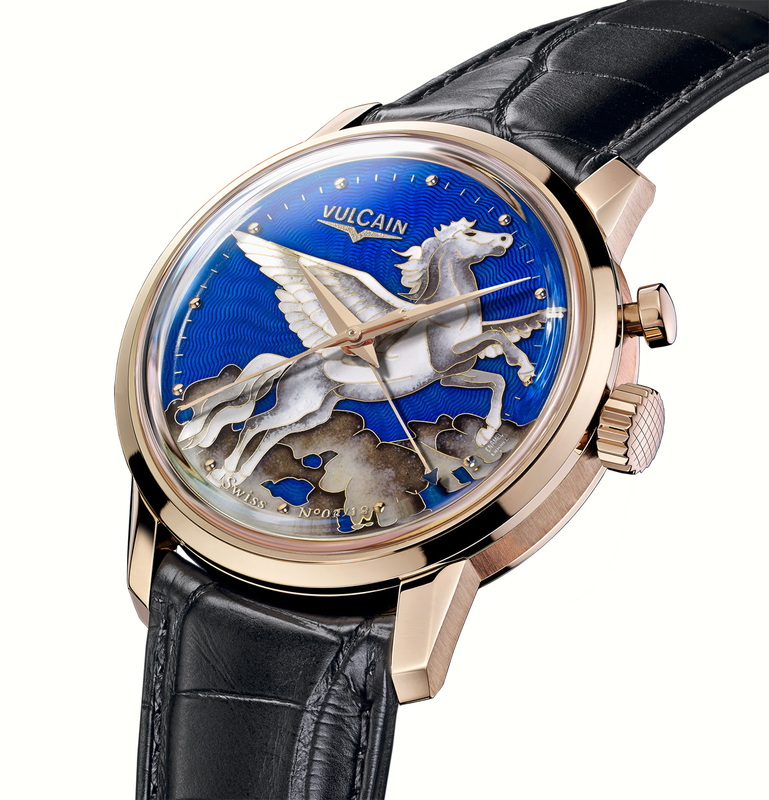 Vulcain, the watchmaker synonymous with the Cricket alarm watch, has just unveiled the 50s Presidents’ Pegasus, a limited edition alarm wristwatch with a cloisonné dial made by enamel specialist Donzé Cadrans. Having been worn by several American presidents in the fifties and sixties starting with Truman, Vulcain has since given each president since a Cricket alarm wristwatch. The watches gifted to each president have been decidedly more modest than the latest version of the Cricket, the 50s Presidents’ Pegasus Limited Edition. Having invented its trademark buzzing alarm watch in 1947, most of Vulcain’s watches are Cricket alarms. Likewise, the new limited edition is an alarm wristwatch, with a cloisonné enamel dial, made by Donzé Cadrans. Along with Stern Creations, Donzé is one of the few firms in Switzerland able to manufacture consistently high quality enamel dials in quantity. 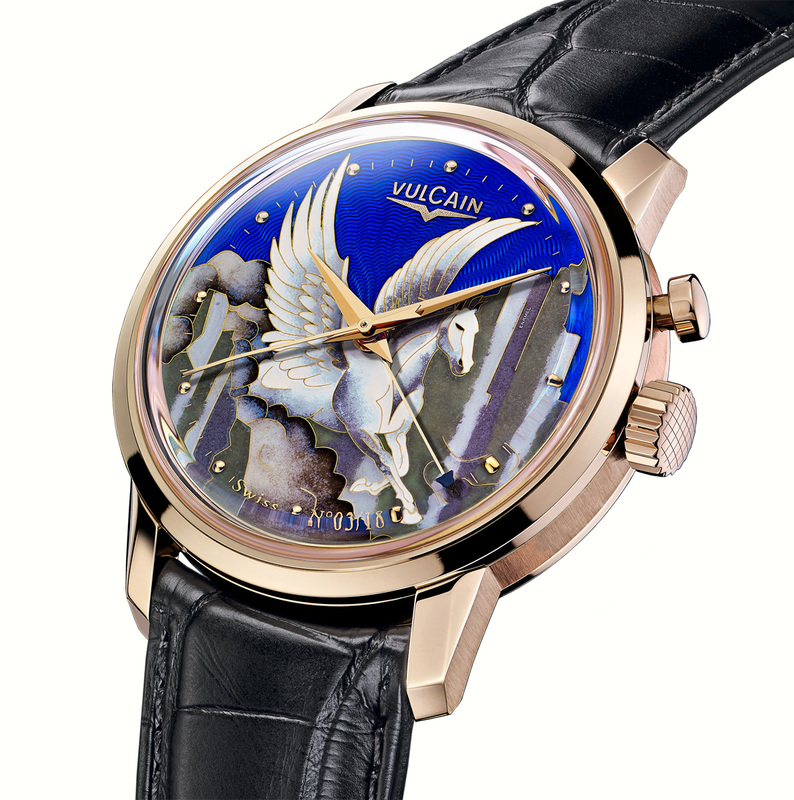 The Pegasus is available in two different guises, Pegasus in the Sky and Pegasus in the Mountains, referring to the background on each of the dials. Both dials are decorated with cloisonné, in which fine gold wires are applied to the dial to form the motif. The motif is then filled with enamel in the various colours, and then fired multiple times in an oven. 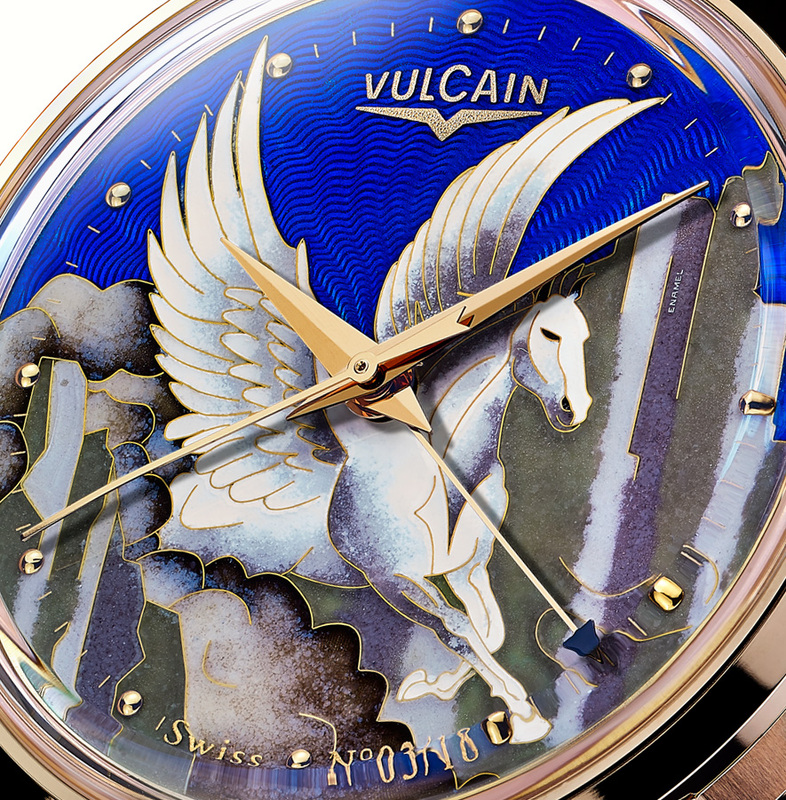 Modelled on the fifties Vulcain Cricket case, the Pegasus case is in rose gold and 42 mm in diameter. Inside is the V-20 alarm movement, which is automatic and has a 42 hour power reserve. At full wind, the alarm will buzz for about 20 seconds. Each dial variation is limited to 30 numbered pieces. 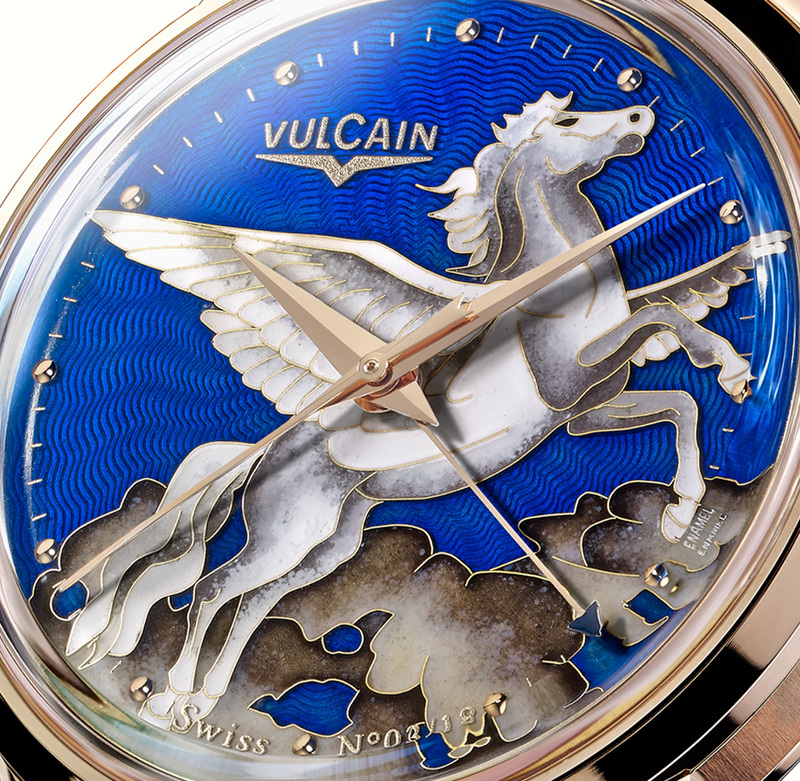 The 50s Presidents’ Pegasus Limited Edition retails for a hefty 75,500 Singapore dollars, equivalent to about US$60,400, a price almost as fantastic as the creature depicted.